You must click the confirmation link for your subscription to be complete. If your confirmation email isn't in your 'Inbox', please look in your 'Spam' or 'Junk' folder for it. 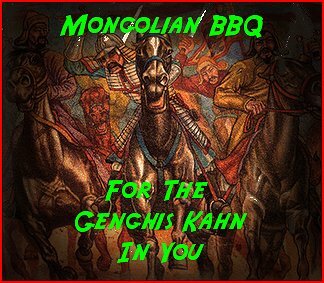 After you confirm your subscription, you'll receive another email from me, with free gift of Mongolian BBQ recipes. We hate spam too. Your info will remain 100% confidential with us. You can unsubscribe at any time.